Can you rent patient lifts in Huffman TX ? Yes, you can! E Care Medical Supplies offers hydraulic and battery operated patient lifts rentals in Huffman TX from the top hoyer lift manufacturers in the industry. Hoyer patient lifts are a must for those individuals who are not are able to stand, walk or move around on their own. Hoyer patient lifts are useful for lifting patients and assisting the care giver into moving them to diferent places such as from their bed to a wheelchair, from a wheelchair to the commode, from a wheelchair to a vehicle, etc. Why Should I Rent a Hoyer Patient Lift? While hoyer patient lifts are extremely beneficial, they also require a sizable investment of money. If you only need a hoyer patient lift for a temporary situation, or you would simply feel more comfortable avoiding an outright purchase, our medical supply store has the right solution for you. By renting one of our hydraulic or electric patient lifts, you can improve the level of care you provide for your loved one, as well as cut costs in the long run. Our Patient lifts make transfers and daily activities easier and they help eliminate injury both to the caregiver and to the patient. Our electric and hydraulic hoyer patient lifts are lightweight and feature easy disassemble for easy transport and set up. A patient sling is provided with all the patient lift rentals. Stop by our medical supply store in Houston to see first hand one of our patient lifts rentals. How Much Do Patient Lifts Rentals Cost? Patient Lifts prices depends on a couple of things, the rental period and the type of patient lift you will be renting (hydraulic, or battery operated). How Do Patient Lifts Rentals Work? Renting one if our patient lift is very easy. Start by calling us and talking to one of our experts to help you choose the right hoyer lift for your needs. Once you decided what hoyer patient lift to use and the rental period you will be needing one, we will make a reservation to deliver our patinet lift for the day and time you choose. There may be a situation where you or a family member is incapacitated, or released from the hospital and he or she is unable to walk and you find that transfering the patient from the bed to a wheelchair, commode or to your vehicle is not an easy task. Whatever your situation is, we can help you get a hydraulic or battery operated patient lift deliver and install the same day at your home or medical facility. E Care Medical Supplies now offers after hours delivery service. We can deliver our patient lifts or any of our medical equipment the same day with our after our service delivery team. We can deliver after the store has closed, on the weekends or even holidays! Call our After Hours Delivery Team at (713) 321-9500 and set up a patient lift rental reservation for delivery tonight! 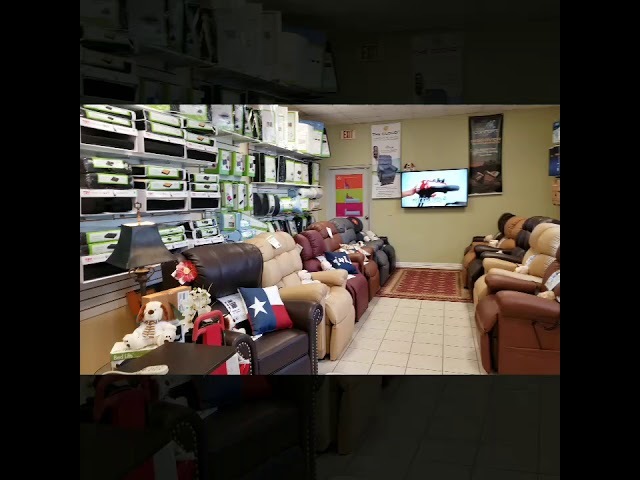 Our store doubles as a spacious showroom where a selection of supplies, equipment, and accessories are currently on display. With a team of knowledgeable associates who are familiar with all of the products we keep in stock, you can depend on us to help you choose the ideal patient lifts that you can have in your home or facility today. Our local medical supply store and showroom offerspatient lifts rentals for: Alief, Alvin, Austin, Bacliff, Bay City, Baytown, Beasley, Beaumont, Bellaire, Bellville, Brazoria, Brookshire, Buna, Channelview, Cleveland, College Station, Columbus, Conroe, Corrigan, Crosby, Cypress, Dayton, Deer Park, Dickinson, Freeport, Fresno, Friendswood, Fulshear, Galena Park, Galveston, Giddings, Gonzales, Hempstead, Highlands, Hitcock, Hockley, Houston, Huffman, Humble, Hungerford, Huntsville, Katy, Kemah, Kendleton, Kingwood, La Grange, La Marque, La Porte, League City, Liberty, Livingston, Lufkin, Magnolia, Manvel, Missouri City, Mont Belvieu, Montgomery, Navasota, Needville, New Caney, New Waverly, Orchard, Pasadena, Pattison, Pearland, Pinehurst, Plantersville, Porter, Prairie View, Richards, Richmond, Rosenberg, San Antonio, San Felipe, Schulenburg, Seabrook, Sealy, Silsbee, Simonton, South Houston, Splendora, Spring, Stafford, Sugar Land, Sweeny, Texas City, The Woodlands, Thompsons, Tiki Island, Tomball, Victoria, Waller, Wallis, Webster, West Columbia, Willis, Woodville, and many more! Make an Online Patient Lifts Rental Reservation Request Today! Would You Like To Purchase Our Patient Lifts Instead? Our medical supply store carries a large selection of patient lifts for purchase. Check out our patient lifts inventory here.